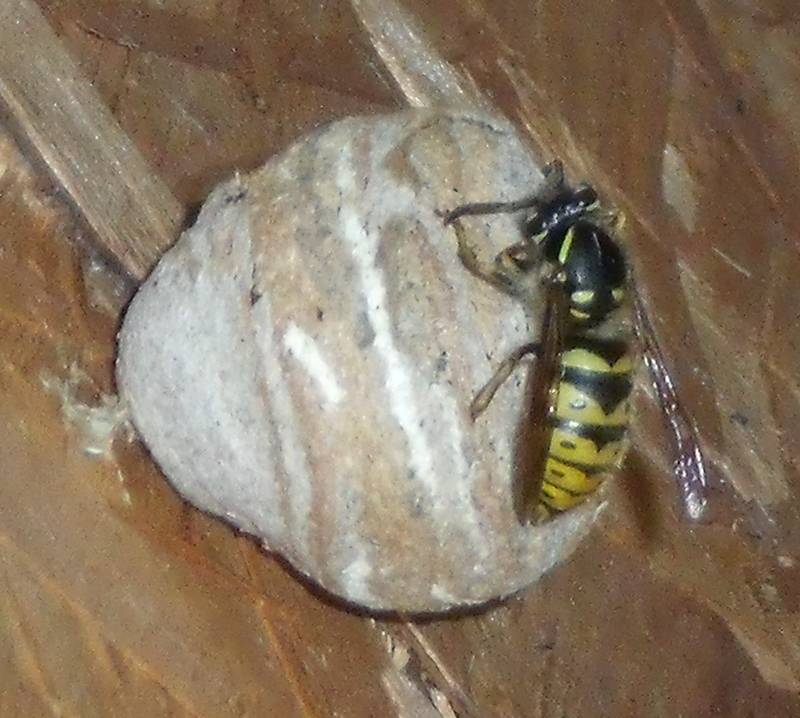 We discovered the start of a wasps’ nest in our allotment shed earlier this week. Apologies for the poor quality of the photograph which was taken hastily under threat of stinging. What the photograph doesn’t convey is the beautiful, papery nature of the nest, with embryonic chambers on the inside. All the more amazing that it’s made from wood pulp collected by the wasps and mixed with their saliva. Despite it’s beauty, we weren’t keen to share our shed with wasps. But fortunately on a return visit later this week, there were no further signs of building work progressing and the nest had started to disintegrate. Phew.